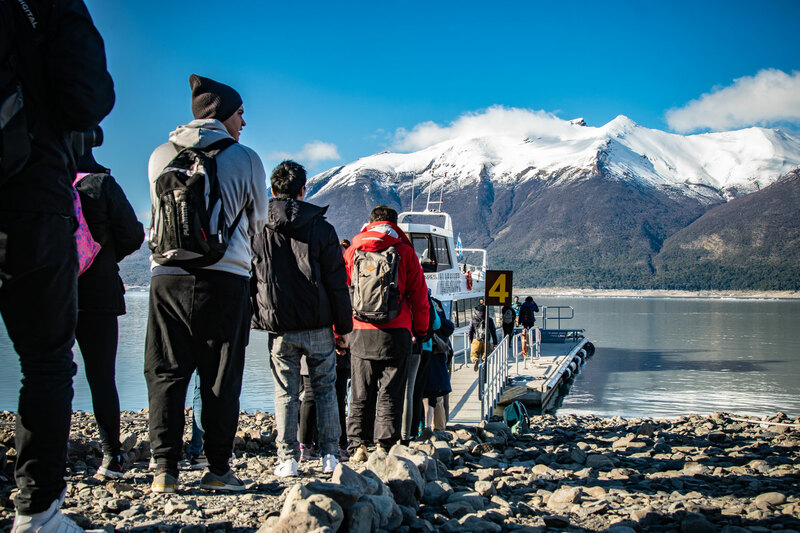 The tour begins at the Bajo las Sombras port located in Ruta 11, Km 70.9, one hour and a half from El Calafate and just 7km from the Glacier. 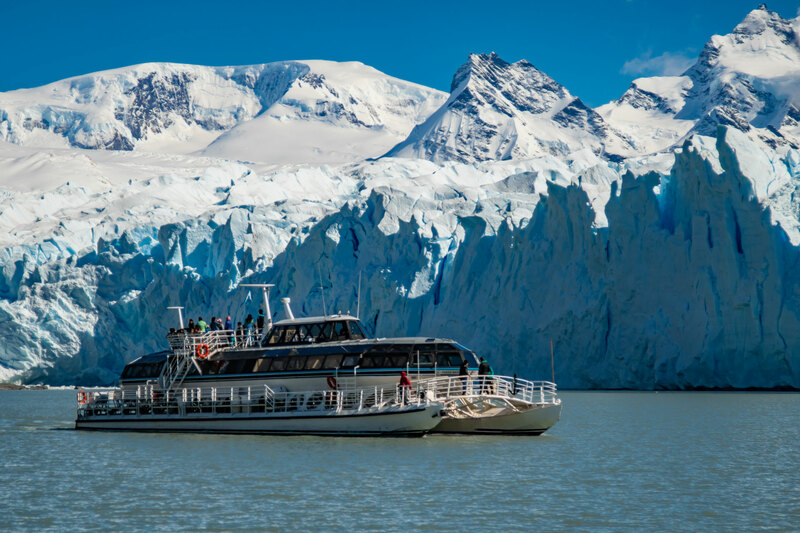 You should get to the port by your own and once there, you will board the ship to navigate the Lago Rico where your will be able to appreciate the amazing ice wall of the Perito Moreno Glacier and its icebergs. 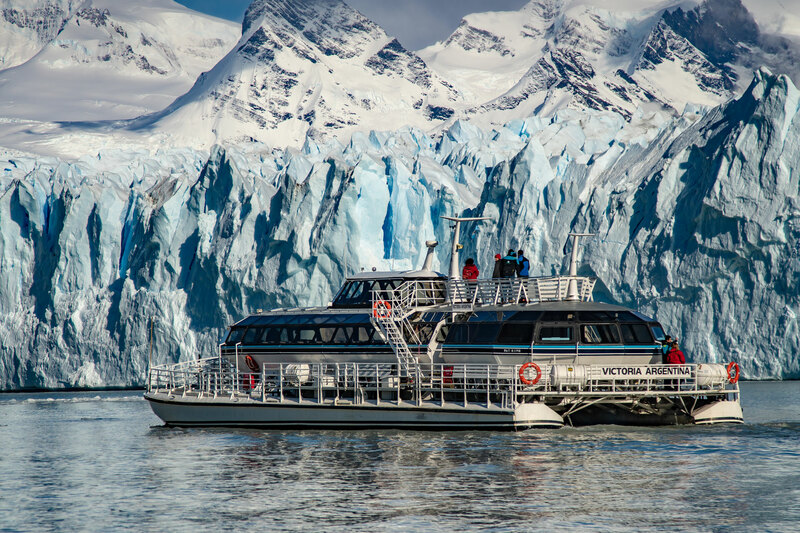 From our comfortable ships and with a completely different perspective, this 1-hour trip offers the possibility of seeing the spectacular ice walls of the Perito Moreno Glacier and its continuous and thunderous collapses over the Lago Rico. 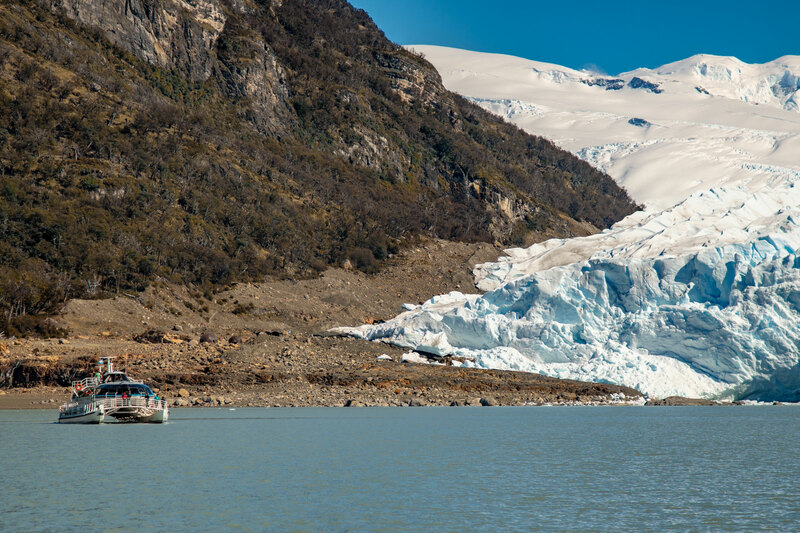 400 meters from the southern wall of the Perito Moreno Glacier, the boat stops for a few minutes to take a closer look at the landscape. You could not get any closer to the rupture! 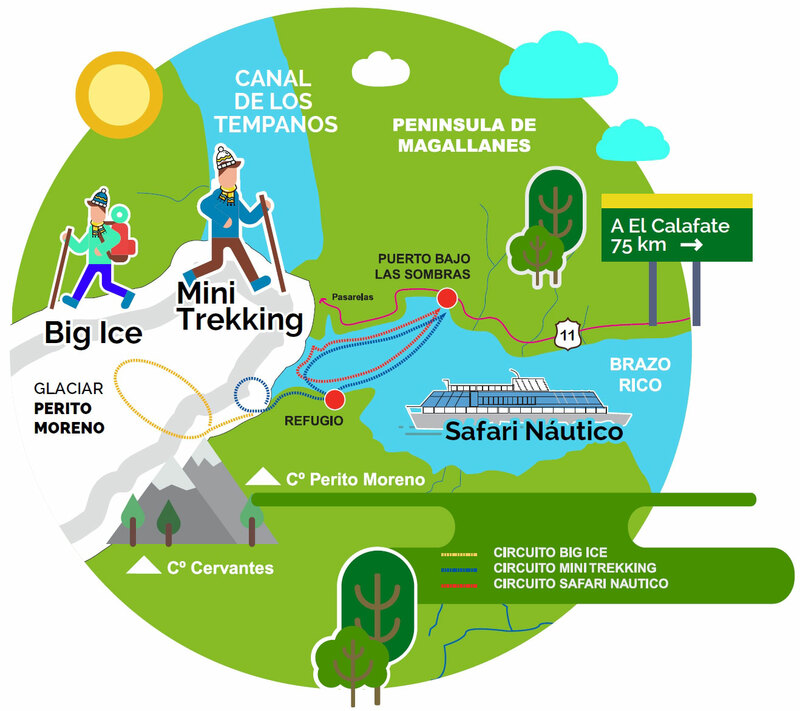 The Safari Náutico is a navigation suitable for all ages and it can be done year round. 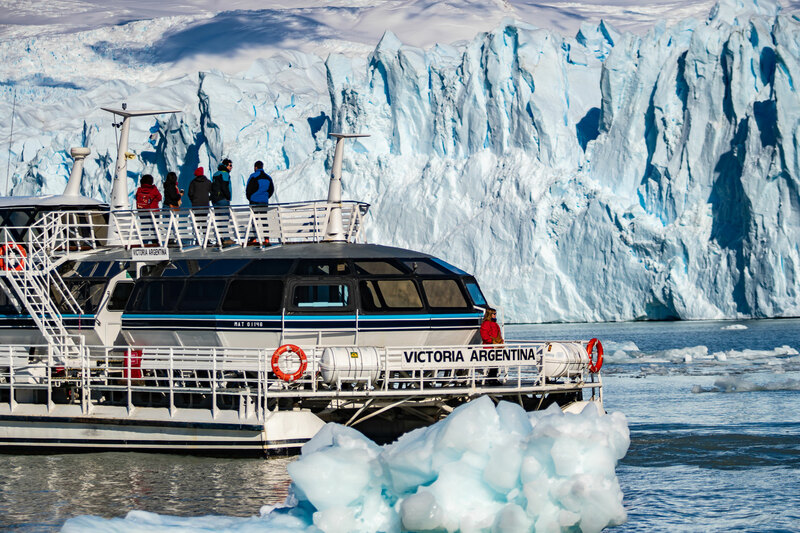 This tour is designed for people who want to enjoy the magic of ice and to remember that experience forever, observing every detail of the ice wall and its surroundings. To do the tour you should get to the Bajo las Sombras Port, located on Ruta 11 km 70.9, by your own means. 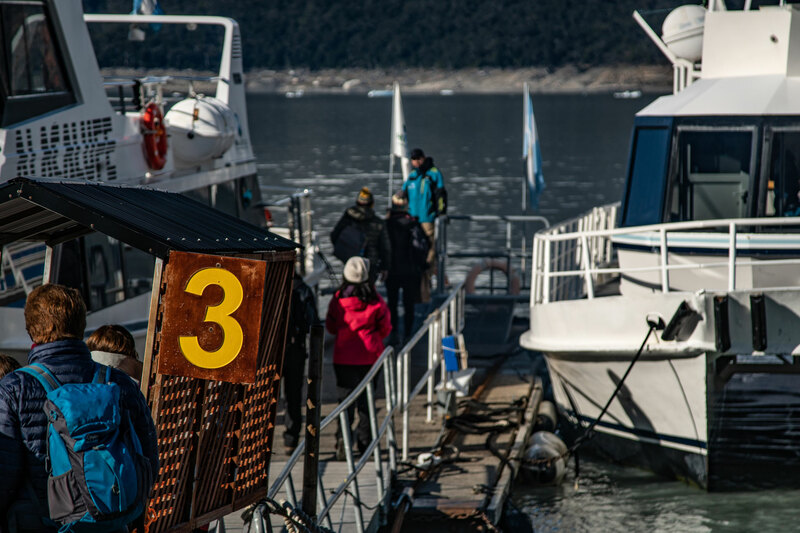 We suggest setting off from El Calafate one hour in advance to be able to get on time. The road within the National Park is winding so, for your safety, we recommend that you comply with the speed limits. The tickets can be bought online or in the port before boarding. In the summer months, we recommend buying the tickets in advance. Not included: National Park’s entrance fee. Warm clothing, sunglasses, sunscreen, gloves and hat. Food: Bring food and beverages for the day. The Company does not have a food and beverage sales service. Boarding on the Bajo las Sombras Port. Navigation on the Brazo Rico of the Lago Argentino. Be dazzled by the size of the wall and the sound of cracking ice. Icebergs, crashing ice, rupture area: a dream to admire and remember. Bring food and beverages for the day. 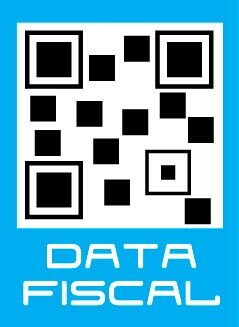 The Company does not have a food and beverage sales service. Ideal for the entire family, with no age limitation. To do this excursion you must reach Bajo de las Sombras port, distant 75 km from El Calafate, by your own means. We are the only official provider of trekking over Perito Moreno Glacier and we have a team of professionals ready to show you one of the most beautiful places in Argentina.